The Core MEAL Certification / MEAL D-PRO is targeted at practitioners at all levels that wish to demonstrate an understanding of the fundamental aspects of MEAL systems and activities needed by all practitioners engaged in MEAL activities in humanitarian and development contexts. 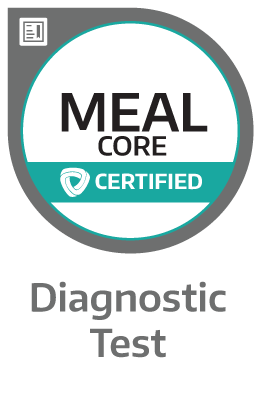 The Core MEAL Certification is designed for program and project management staff with MEAL-related responsibilities, as well as a first step for specialized MEAL staff pursuing the Advanced MEAL Certification. 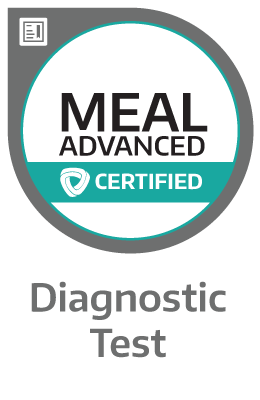 The Advanced MEAL Certification can be pursued after having achieved Core MEAL Certification. It is targeted at MEAL specialists and project/program managers that wish to demonstrate that they have an advanced understanding of how MEAL systems and activities are designed and applied in practice across different types of situations, including in in humanitarian response and development contexts. What is the scope of the Core MEAL Certification? The Core MEAL Certification holder understands the key concepts, purposes, components, and ethical principles relevant to MEAL. During the designing and planning phase, the certification holder is able to identify the key components of a MEAL system, such as the main types of logic models, indicators, and measurement methods. He or she recalls the main components of a stakeholder analysis, the different mechanisms for community engagement and feedback, as well as common coordination structures to MEAL. While collecting MEAL data, he or she is able to identify appropriate data collection tools, sampling methodologies, and data management systems. The certification holder also recognizes the main advantages and disadvantages of using quantitative data, qualitative data, and of combining both methods for data collection. Furthermore, he or she is able understand the fundamentals of quantitative and qualitative data analysis, as well as the key concepts related to data interpretation. 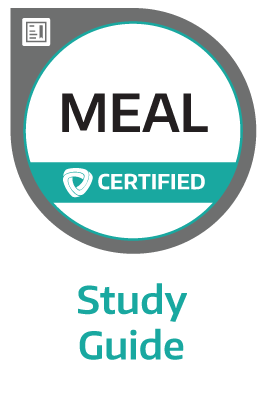 Finally, the certification holder understands how to use MEAL data to communicate findings to stakeholders, and for adaptive management and learning. What is the scope of the Advanced MEAL Certification? The Advanced MEAL Certification holder is able to identify challenges of, and methods for carrying out MEAL activities in diverse contexts. During the designing and planning phase, he or she is able to adapt MEAL systems and (common) indicators to different contexts. While collecting MEAL data, a certification holder is able to select appropriate quantitative and qualitative methods, community feedback mechanisms, MEAL coordination structures, sampling methodologies, and ICT tools for different contexts. Moreover, he or she is able to ensure data quality and select appropriate databases, while minimizing and mitigating different types of bias. Lastly, a certificant is able to analyze and interpret quantitative and qualitative data, to communicate findings, and to translate MEAL results into organizational learning. 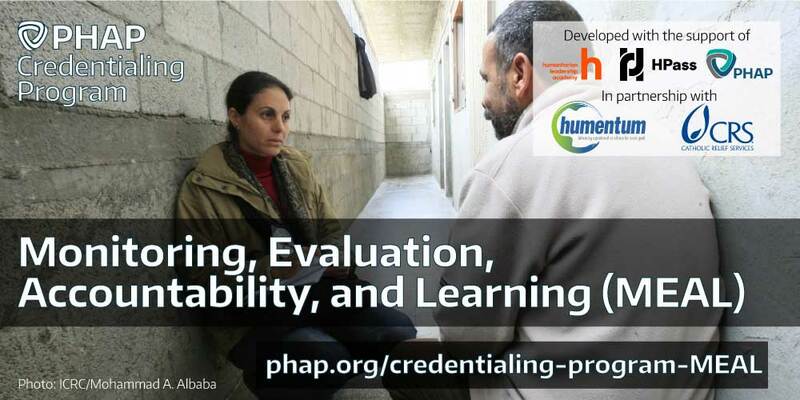 The Core and Advanced MEAL Certifications will be launched in March 2019, and will be an integral part of the PHAP Credentialing Program that aims to recognize knowledge and skills in complementary areas of humanitarian practice. 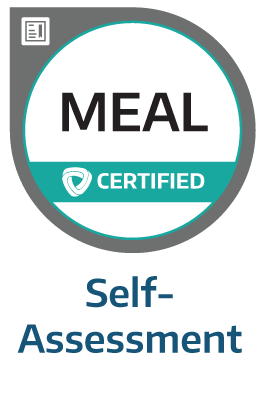 The MEAL certifications provides an opportunity for practitioners to demonstrate professional competencies and contextual understanding within the aforementioned scope of the certification. All certified individuals receive a verifiable digital badge as proof of their achievement that can be added to their CVs, social media profiles, email signature, or personal websites and portfolios. The Core Level Diagnostic Test and Advanced Level Diagnostic Testare free online tests that are similar to the official certification assessments, but designed to help pinpoint where you may need to prepare further. These diagnostic tests gives an indication of how you would score on the official certification. Upon completion, you will receive a personalized and detailed Diagnostic Report, indicating your strengths and weaknesses in the different areas of the certification. The Study Guide , developed by Humentum and CRS, provides overviews of key concepts. To optimize your preparations, you can use the Self-Assessment and Diagnostic Report to identify the specific competency statements for which you still need to prepare and then refer to those chapters in the study guide.